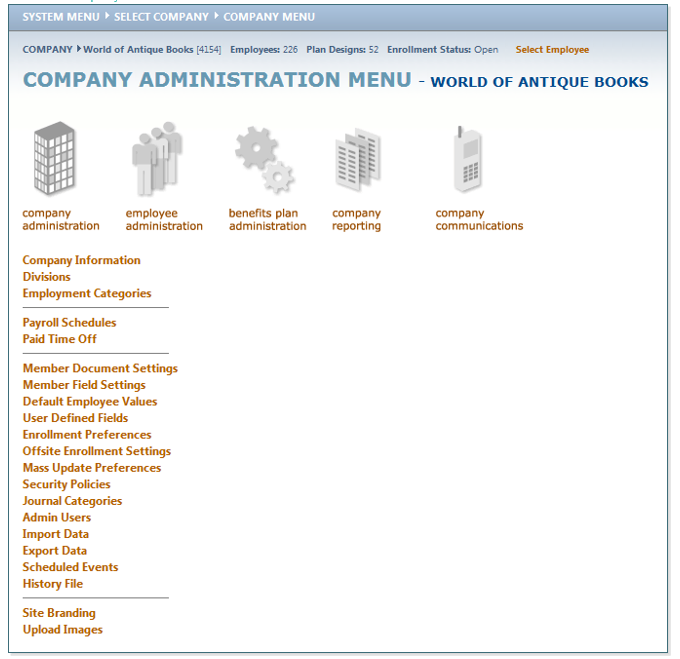 Click on Company Administration. Click User Defined Field. Click on Add User Defined Field. 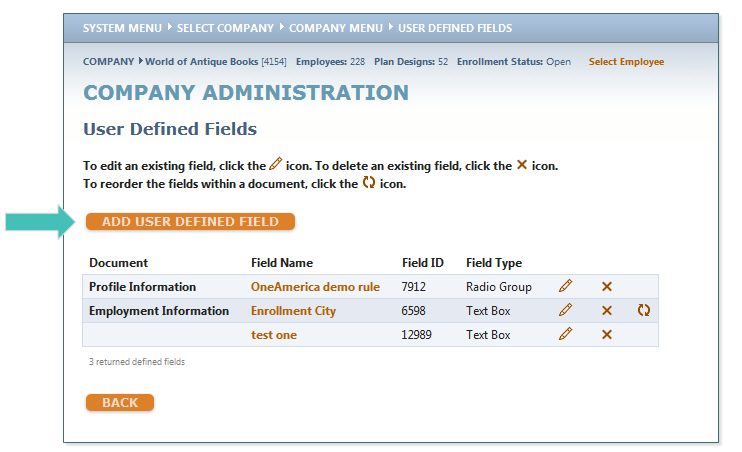 Populate the Field Name, Field Label and Field Message (optional). 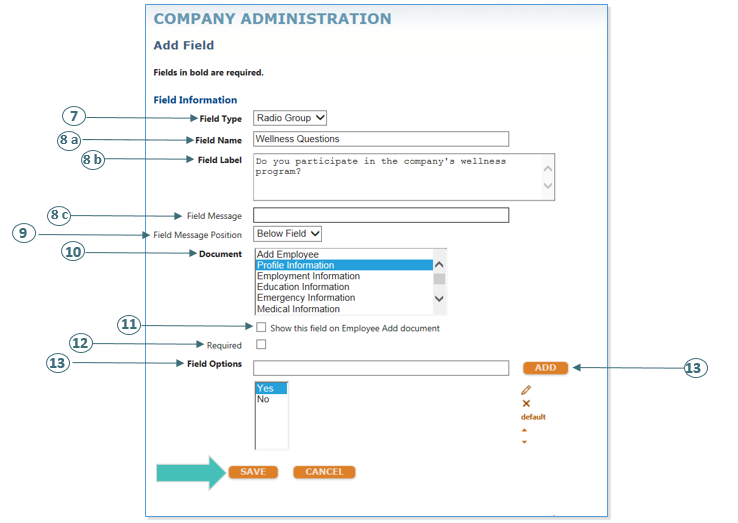 Determine where you would like the Field Message to appear (if using this option) ─ Right of Field , Left of Field or Below Field.